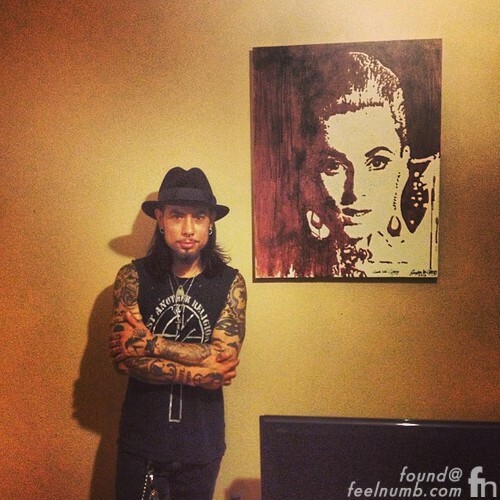 David Michael Navarro of Jane’s Addiction is the only son of Constance Colleen (nee Hopkins) and James Raul “Mike” Navarro. 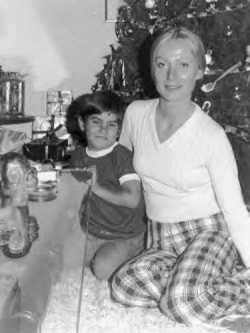 When Dave was 7, his parents divorced and he moved to Bel-Air with his mother Constance. As with most kids in the middle of a divorce, Dave had designated days he would spend with his father, per their custody arrangement. Things changed dramatically for 15 year old Dave on March 3, 1983, while he was staying at his father’s house. His mother and a close friend were murdered in her West Los Angeles apartment by Constance’s jealous psychotic ex-boyfriend John Riccardi. Ricardi broke into Connie’s apartment shot her and her friend and stuffed Connie’s lifeless body halfway into a linen closet. After that, Dave moved in with his father and a dark descent into drugs, alcohol, and depression would follow. Dave Navarro and his father attend the murder trial of John Riccardi in 1993 after he had been on the run for 8 years. Riccardi was finally caught in Houston, Texas on January 4, 1991 after Americas Most Wanted ran a story “Son of Murder Victim Becomes TV and Rock Star” about the murders. Navarro says he’ll never forget the day John Riccardi was captured. In 1994, Riccardi stood trial for the murder of Connie Navarro and Susan Jory. Dave had to relive his mother’s murder all over again as he testified at the trial. 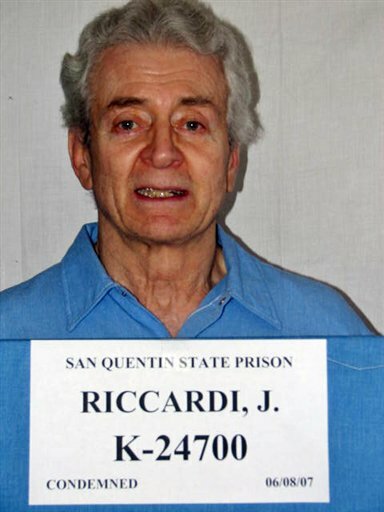 Riccardi was found guilty and the jury considered the crime so heinous they sentenced him to death, he is now in San Quentin Prison on death row. Here is a recent photo of Riccardi as he is now one of oldest people on Death Row. 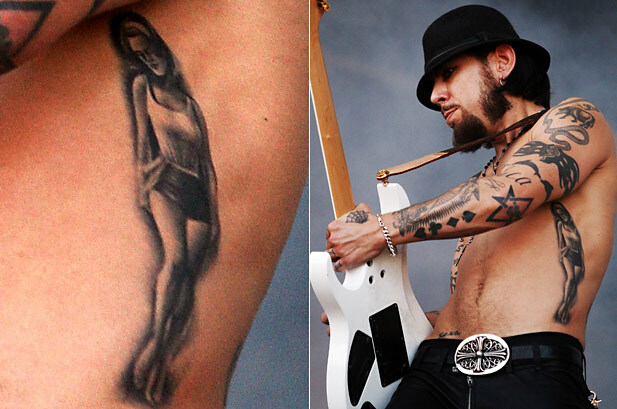 Navarro had tattoo artist Kat Von D tattoo a portrait of his mother Constance from her days as a model on his left rib cage area. Navarro also had this painting of his mother made in his own blood. “I was a juror on that trail and I take exception to the phrase, “Prosecutors, even claimed.” They “proved” to a jury of 12. Beyond a resonable doubt. 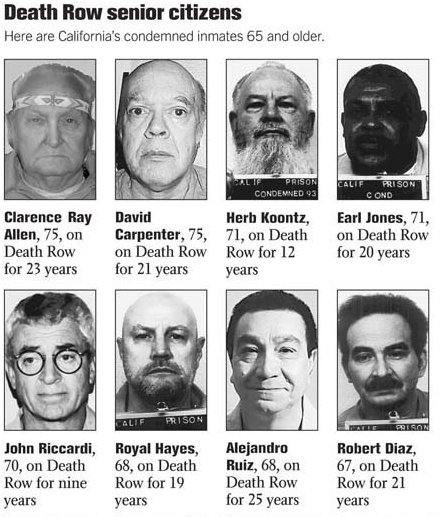 On July 16, 2012, The California Supreme Court on Monday tossed out the death sentence of John Riccardi. The unanimous court said the trial judge presiding over the trial of John Riccardi improperly dismissed a prospective juror because of her conflicting written responses in a questionnaire asking her views of the death penalty. Luckily, he will still spend the rest of his life in jail. Here’s his most recent mugshot. July 3, 2014 – A California appeals court has upheld the life sentence of John Riccardi. The 2nd District Court of Appeal upheld Riccardi’s prison term after rejecting his attorney’s request to overturn his sentence and dismiss the case. Here’s another murderer that shouldn’t be around.